Dignity for Children Foundation provides quality education to help break the cycle of poverty. 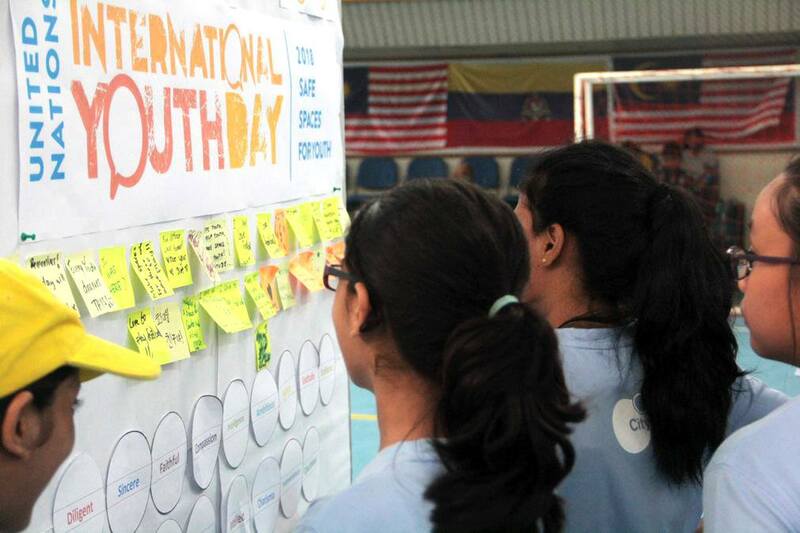 They nurture a generation of young people that will impact, influence and transform society positively. Reverend Elisha Satvinder and his wife, Petrina started the Dignity for Children Foundation in 1998. They began their community outreach through the New Covenant Community Church. Here, they provided counselling, basic home improvement services, groceries distributions and medical check-ups. “Before long, it was evident that trying to meet immediate needs was like trying to plug a bucket full of holes with two fingers – it was a stop-gap measure,” said Rev Elisha. The duo came to a realisation that quality education in a child’s early years was the key to breaking the cycle of poverty. By prioritising quality education, Dignity has grown from a simple tuition class of 40 students, to a full fledged institution that provides holistic education. With over 1,000 students this year, Dignity addresses the needs of children from pre-school level to IGCSE ‘O’ level and vocational skills. Here’s how they've significantly impacted the lives of children through their initiatives. At Dignity, education is more than meeting intellectual needs. 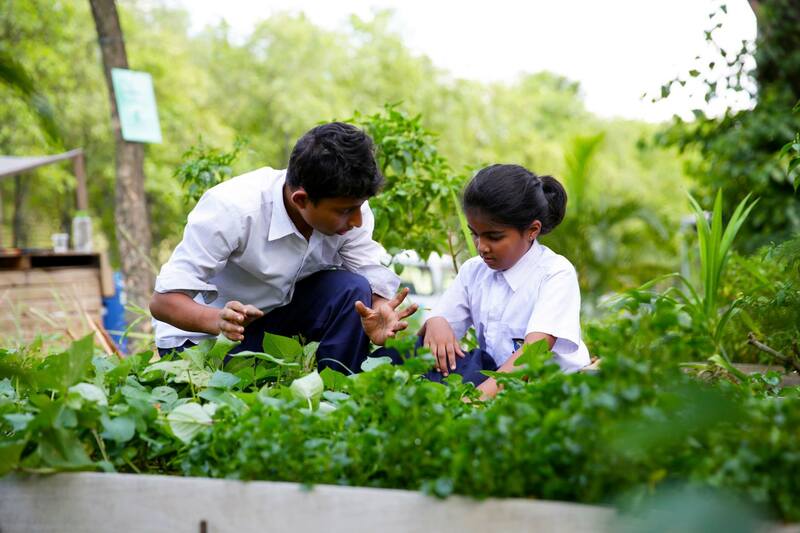 Dignity focuses on holistic education which addresses more than the classroom experience. By focusing on the whole child, this allows the foundation to tap into real power for change. As such, Dignity recognises that a one-size-fits-all approach neglects the diverse growth patterns and learning styles of each child. Therefore, they implement flexible timetables, and individualised tracking and monitoring. This allows for both advanced or delayed learners to learn at a suitable pace. “Lessons structured with kinaesthetic and visual learners in mind. Students learn through interactive groups and individual activities. 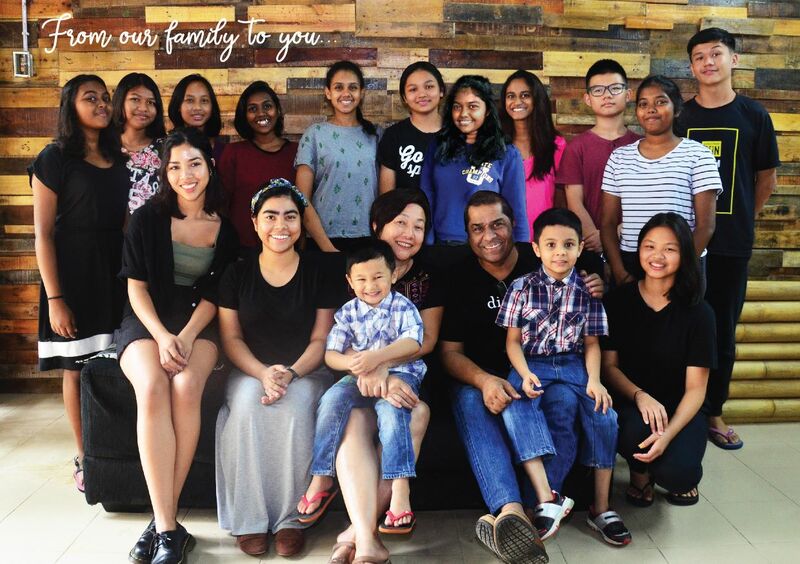 Our mixed-age learning groups also encourages peer-to-peer teaching,” said Rev Elisha. Dignity also provides breakfast, lunch and snacks for the children enrolled in their programmes. They also participate in sports development, receive hygienic care, medical check-ups, and even therapy sessions with trained professionals. 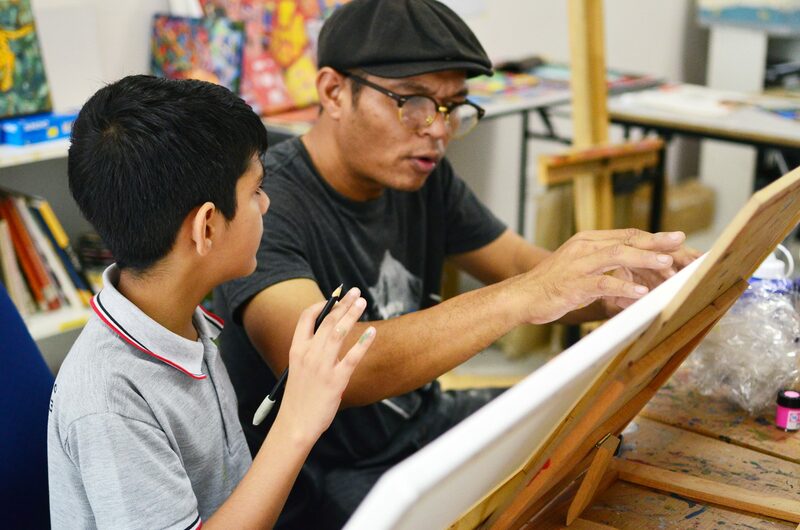 To complement its academic rigor, Dignity runs a Secondary Program that focuses on building strong character and leadership skills. This is accomplished through a mixture of class lessons, self-managed learning, community service and skills training. 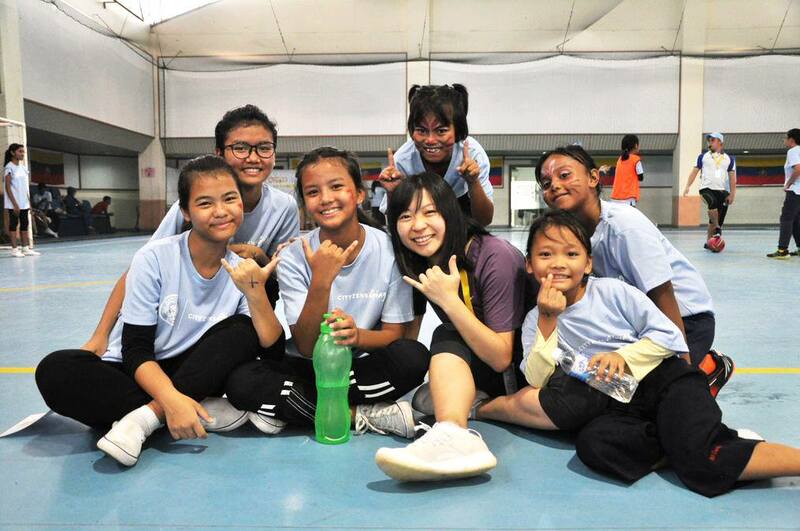 Dignity's Education Programmes are based on the national curriculum as prescribed by the Ministry Of Education. 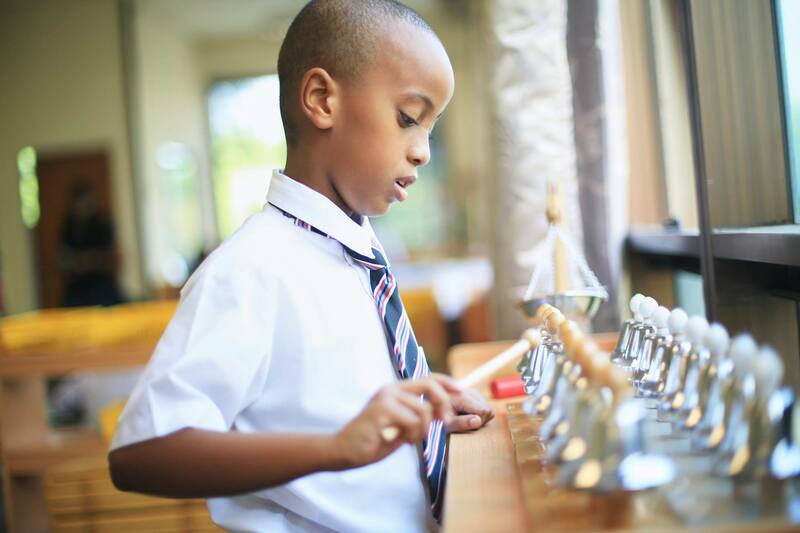 In execution, programmes incorporate Montessori principles and philosophies. 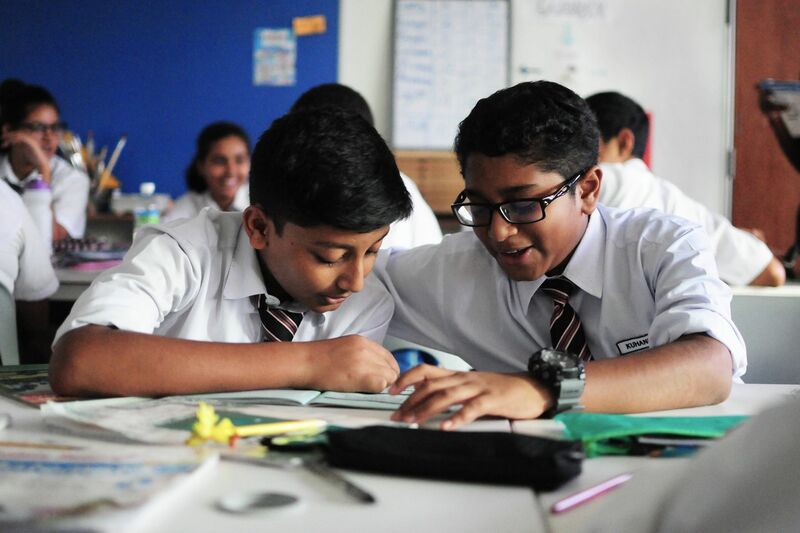 Children enjoy classes ranging from English, Math, Science and Bahasa Malaysia to Geography, Moral, Living Skills, History, Sport, and Arts. Dignity runs 3 main enterprises. Their forerunner, Eat X Dignity, allows students to select skills in F&B, sewing, hairdressing, woodworking, graphic design and urban gardening. Here, students learn employability and entrepreneurial skills. The other 2 enterprises are a hairdressing saloon, Cut X Dignity, and Sew X Dignity, a sewing and fashion design studio launched late 2017. All enterprises are full-service, self-sustaining businesses that provide students with real-life vocational and entrepreneurial training. This addresses the tendency of conventional education systems to focus purely on academics, which isolates students from the community. “Students typically don’t interact with society or their community. They don’t learn real life skills. We often hear employers lamenting about the quality of graduates when they enter the workforce,” Rev Elisha said. Therefore, Dignity’s hands-on approach helps students learn to deal with rejection, solve problems and cope with issues that arise. By age 17, Dignity’s students learn a trade, and also learn to serve and work with their customers. As such, Rev Elisha truly believes that children are vital in steering future global direction. Therefore, even the slightest impact on a child’s life could bring significant changes in society. “It's especially rewarding to see the lives we have invested in grow and bloom” he reiterates. Over the years, Dignity has transformed the lives of over 7,000 children. They become responsible young adults, and contributing members of society. Many have moved beyond the cycle of poverty, and are now capable of providing for themselves and their families. Some have even relocated to other countries to pursue further education. One thing is for sure – All have been given the opportunity to turn from despair to hope for the future. For starters, young 8-year old Izzat* could hardly read and write in English when he first arrived. Fast-forwarding to today, he will soon be graduating with a Bachelor’s Degree in Business Administration. “Sheila* came from a background where women are objectified and married young. Today, she speaks flawless English and runs her own NGO that empowers women in Gombak’s community,” Rev Elisha recounts. 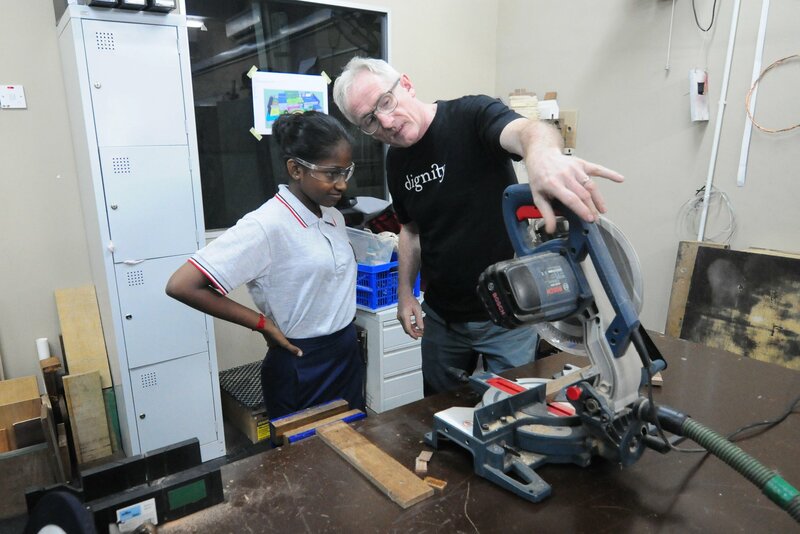 In addition, Dignity’s efforts extend beyond Malaysia’s borders, where they conduct teachers trainings. This involves participants from South East Asia countries such a Cambodia, Thailand and Myanmar. Their in-house teacher training covers full Montessori syllabus from Preschool to Upper Primary. As such, the training includes working with UNHCR partner schools or Dignity’s partner schools. 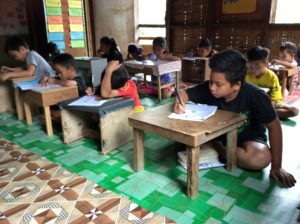 Furthermore, Dignity provides education programmes for refugee children and for rural communities in Sabah and Sarawak. 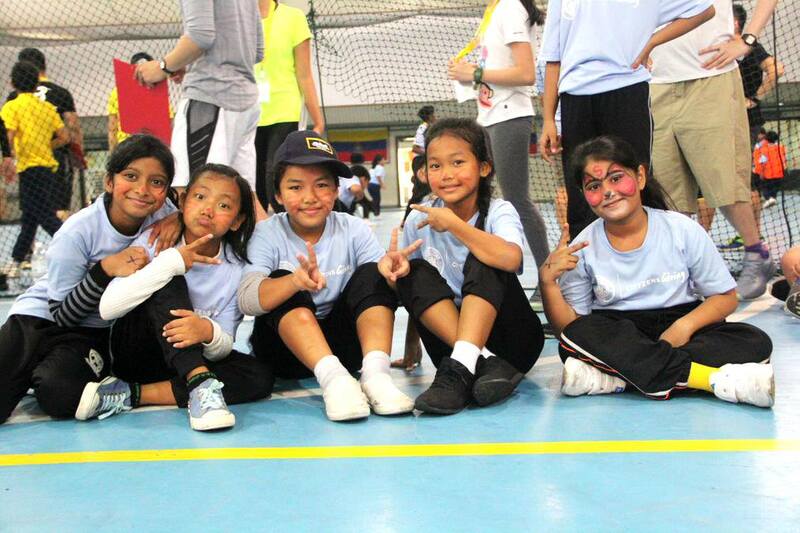 To date, Dignity has successfully established 10 partner schools in Sabah and Sarawak. 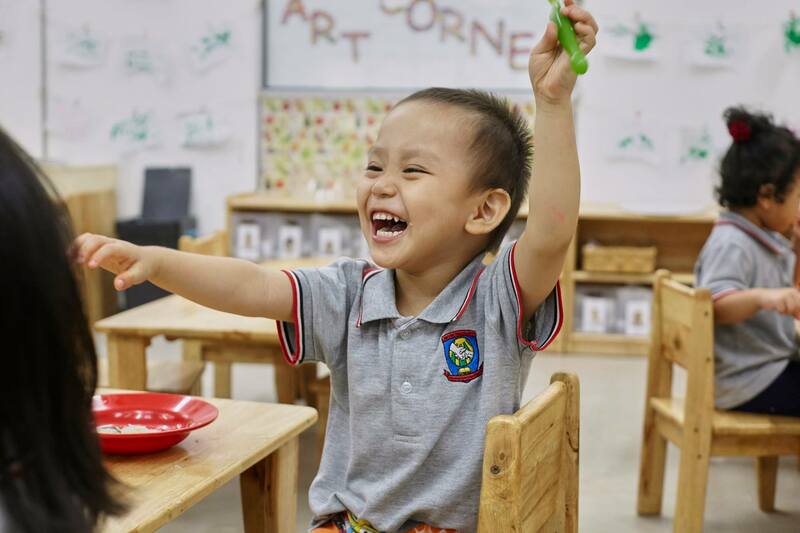 “Through partnerships with organisations and local communities, we're able to aid rural preschools with material procurement, teacher/staff training, and on-site supervision,” Rev Elisha added. Dignity's work has gained much recognition, even hosting a visit by the 44th President of the United States, Barack Obama. They have also been awarded the Sharjah International Award 2018. This award is bestowed upon the leading humanitarian institution in Asia, Middle East and North Africa region, for providing support and advocacy services to refugees. The Global Goodwill Ambassadors Network connects individuals to assist Dignity in expanding its goals of breaking the cycle of poverty. “Our Ambassadors are individuals who have the passion to serve and care for the poor. We share a common goal, which is to empower a child to break free from the cycle of poverty. These volunteers have a unique ability to touch people’s hearts with their passion and commitment,” Rev Elisha believes. Through the selection process, Goodwill Ambassadors are either recommended by previous Inaugural Ambassadors, or chosen by Dignity themselves. They are committed to the values and principles and share the same goals as Dignity. They exemplify good citizenship and are passionate, inspiring, principled, credible and capable of acting as influential advocates for children. They demonstrate leadership in their professions and are willing to use their professional prestige and networks to promote Dignity’s cause. Their willingness to contribute to activities such as fund-raising. By pulling together volunteers from all walks of life, this helps combat common misconceptions about the poor. Rev Elisha admits that the lack of awareness in society is the main challenge. 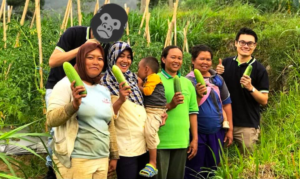 “A large number of people remain unconvinced on the extent of poverty in our developing country,” he said. Furthermore, some have false beliefs or skepticism about NGOs or charitable organisations. However, Rev Elisha emphasises on the need for society to see the powerful transformative work of NGOs and charities. “Because of intervention, dignity is restored and poverty cycles have been broken,” he said. 5. 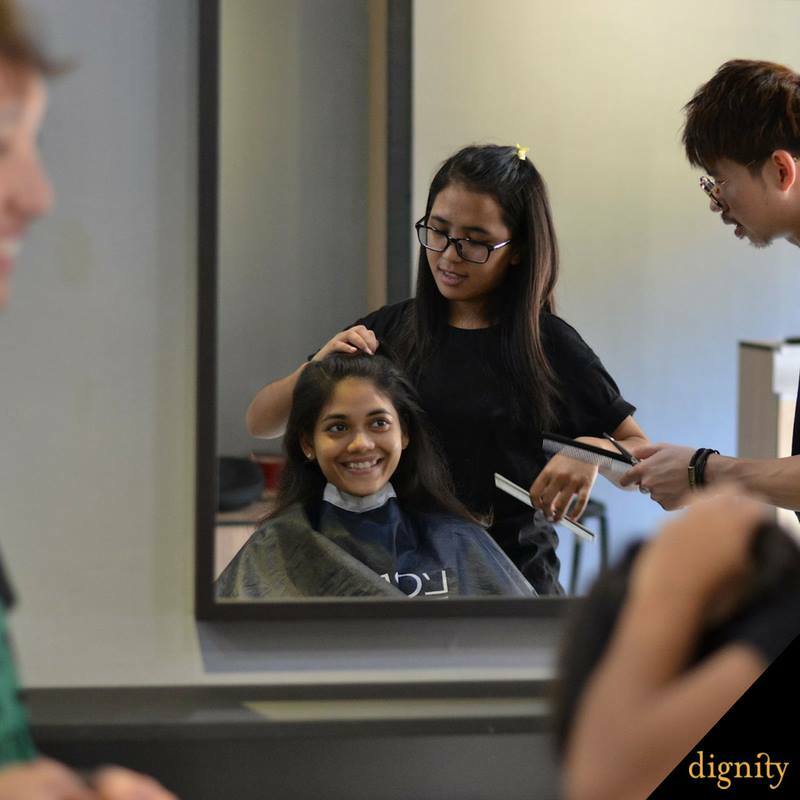 Dignity hopes to raise funds to build an Urban Youth Village that integrates school, enterprise and community to empower Malaysian youth. An “Urban Youth Village” is Rev Elisha’s ambitious vision of integrating school, enterprise and community to empower local youth. In this village, learning and discovery takes place outside traditional classrooms. Here, youths get to train alongside skilled professionals and entrepreneurs. “Our dream is to go beyond equipping our youths as most schools do. Instead, we also help them discover their full God-given potential and gifts to bring out the best in every individual,” said Rev Elisha. To further strengthen their existing teaching team. To equip and train more community teachers. To acquire the land and premises for Urban Youth Village. 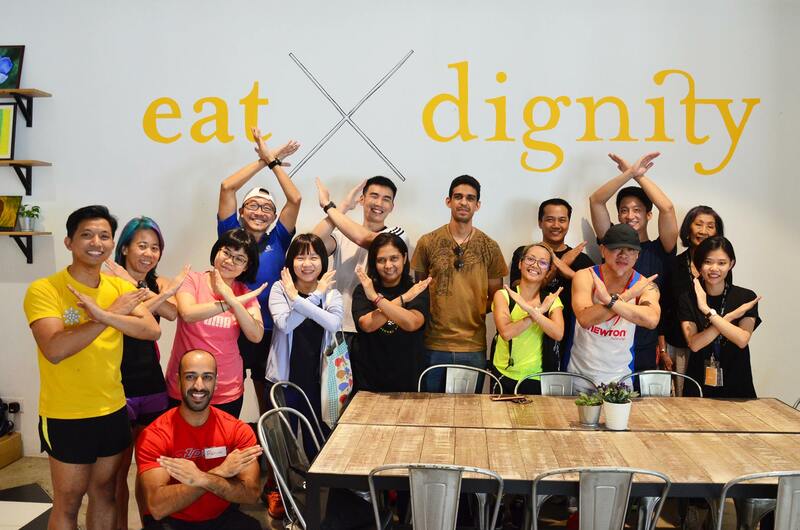 To support the Dignity’s initiatives, corporate partners and individuals are welcomed to journey alongside. “Be it financial contributions, volunteering, patronising Dignity’s enterprises, sponsoring a child, and supporting a project - every effort counts” Rev Elisha said. An African proverb once said, “It takes a village to raise a child”. As such, Rev Elisha affirms that parenting is a shared responsibility. It can even be considered a communal affair. Where raising a child concerns not only parents or grandparents, but includes the extended family, friends and even neighbours! In a broader sense, a strong community receives and provides mutual help and support. Rev Elisha believes that with various people interacting with children, children are able to experience and grow in a safe environment. What do you think about the Urban Youth Village? Let us know! For more information on Dignity for Children Foundation, visit their website or Facebook page here. 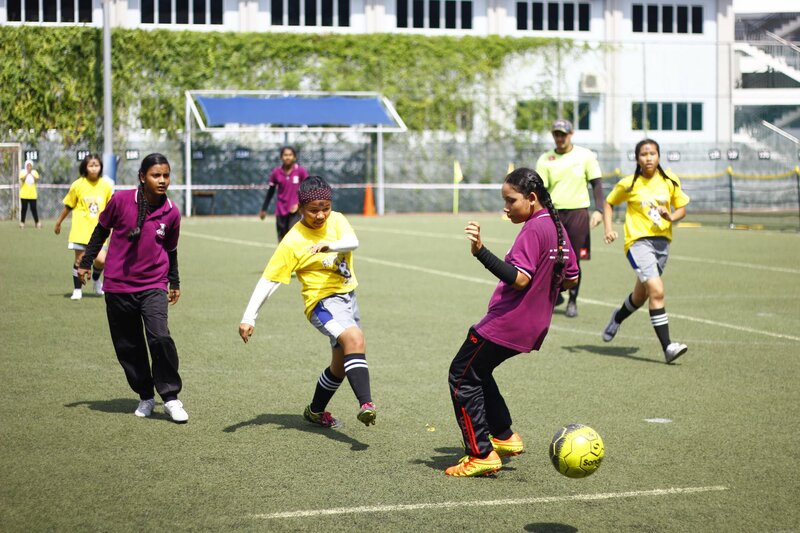 Dignity for Children Foundation is recognized by Malaysia’s Ministry of Finance, with tax-exemption status. *Names are changed to protect a person’s identity.